GD can be experienced by a wide range of individuals. Grandparents may be disappointed that they will not have a grandson. Children may be disappointed that they will not have a sister. However, the following list includes parents that may be feeling GD. Infertile individuals that imagine life with a son or a daughter. There is no one right answer or one thing that will make you feel better when you experience GD. However, these are our suggestions on where to start your journey to find your own happiness and create the best, loving home for your children. Post on the GD Forums. Share your desires and feelings anonymously. This may help you to work through your issues, identify illogical thought patterns, vent about the causes of your GD, and come to accept and cherish the idea of your child’s gender. Speak with a Mental Health Professional. If your feelings are too difficult to manage, you are feeling depressed or out-of-control, or your family or close friends notice unhappy changes in you, you may want to seek out the advice and support of a therapist, counselor, psychologist, or psychiatrist. 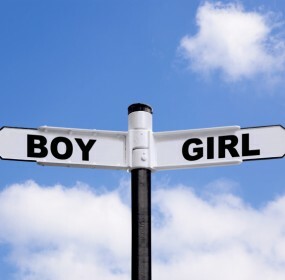 Investigate swaying and High-tech options to help conceive a child of your longed-for gender. Visit the forums and pages on these topics and see if any of the options may be a fit for your family to add that missing member.